Postmates works with Stride, to provide affordable access to health insurance for drivers. Postmates has strategic partnerships in place to make the life of an independent contractor a bit less stressful. Did you know they’ve partnered with Stride for all of your health insurance and tax season needs? One of the issues with independent careers is getting personal health coverage. 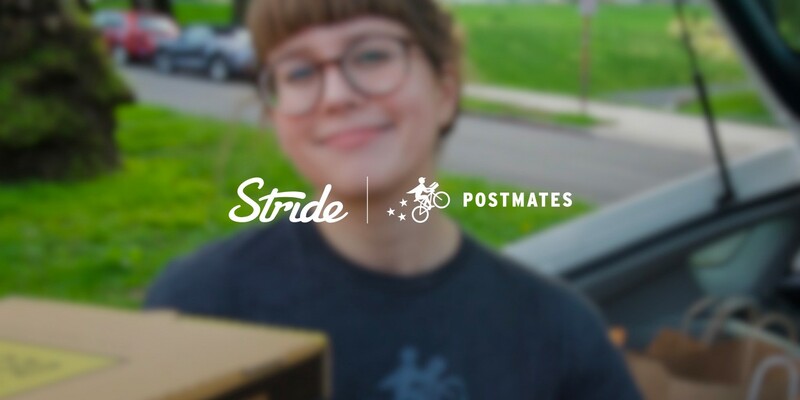 Stride creates products specifically for Independent Contractor’s and works closely with Postmates during seasons that could impact you to make sure you are equipped with all of the tools and resources you need. For example during open enrollment, Stride and Postmates work together to equip you with resources for making informed decisions about health insurance. Stride makes it easy to tackle the big, scary things in life like taxes. Stride helps you save time and money so you can get back to working on the stuff that really matters. During tax season, Postmates utilizes Stride’s certified tax professionals to create exclusive interactive webinars and other support to make filing and claiming deductions a breeze.